It's About Time, Teachers! 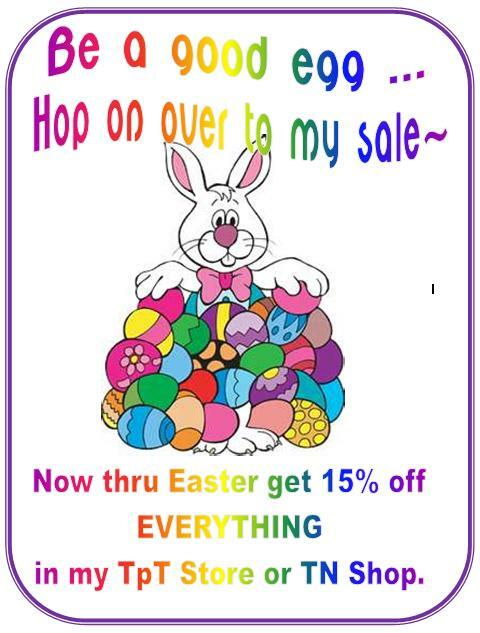 : Easter Sale -- 15% off EVERYTHING! Find my TpT Store here. My Teachers Notebook Shop is here. You know you can't resist a sale! Thanks Cynthis. I'll hop right on over. I'm thrilled to have you as a follower! You’ve been tagged. Stop by my blog to check out the rules for this fun game! Thanks! I did and have had fun playing TAG.